The overall goal of gamification is to more deeply engage with audiences, and inspire them to participate, collaborate, share and interact in an activity or community. 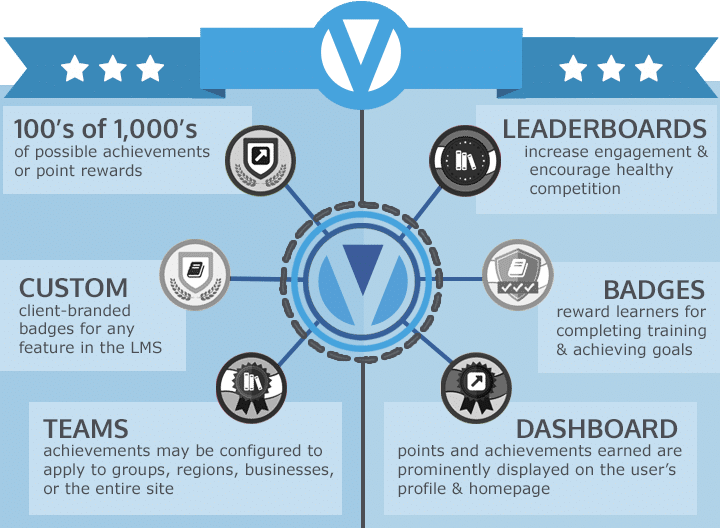 VenU Connect™ provides the tools to gamify the learning process by incorporating features such as leaderboards, badges, achievements and more. Gamify your content and create a fresh learning experience!